University of Ljubljana is the oldest and largest higher education and scientific research institution in Slovenia, founded in 1919. It has more than 40.000 undergraduate and postgraduate students and employs approximately 5.600 higher education teachers, researchers, assistants and administrative staff in 23 faculties and three arts academies. 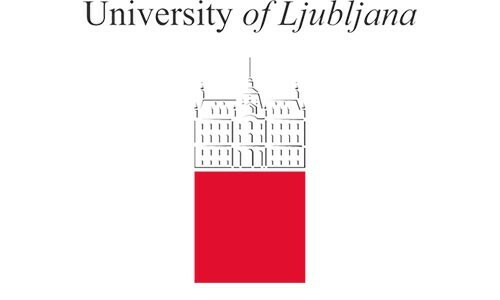 The University of Ljubljana is renowned for its quality social and natural sciences and technical study programmes, structured in accordance with the Bologna Declaration. Their projects keep pace with the latest developments in the areas of arts, sciences and technology at home and abroad. The University of Thessaly is one of the main higher education institutions in central Greece. The organization has 17 departments dispersed in the four main towns of Thessaly, namely Volos, Larissa, Karditsa, and Trikala covering diverse areas in pedagogics, engineering, medicine, and physical education. The Department of Electrical and Computer Engineering (DECE) is active in research related technology in education for the past 10 years. CECE has implemented a wide range of projects focusing in integrating emerging pedagogical design, such as active learning, PBL, explorative and collaborative learning, and design thinking with innovative technology towards introducing learning interventions for diverse stakeholder groups ranging from primary to secondary, higher, vocational, and professional education. Past projects focus on educational content management, educational simulations, serious games, language learning, STEM education, building critical thinking skills, building digital skills, promoting innovative thinking, and more. EU-Track is a Multidisciplinary Research and Development Center composed of researchers with different backgrounds, mainly geotechnical engineering, nanotechnology and robotics, education-pedagogy, sociology, science education in STE(A)M (Science, Technology, Engineering, Arts and Mathematics). The strength of our Scientific Committee stands in the multidisciplinary and interdisciplinary approach combining the academic-scientific and entrepreneurial aspects aimed to the implementation of research activities. Thanks to our international network including universities, research institutes, business companies, public authorities, training centers both in Europe and in Asia, we strongly promote research and training activities for teachers, young people and professionals focused on innovation and labor market needs. Virtual Campus is a development, training and consulting SME in the areas of Information Systems and Technology Enhanced Learning. Located in Porto, North Portugal, Virtual Campus is a spin-off from the research and work developed at the R&D group GILT, from the Instituto Superior de Engenharia do Porto. Virtual Campus has successfully produced multimedia e-learning contents and serious games for different platforms (desktops, mobile, tablet), in different environments (online, standalone) for different purposes (vocational training, emergency services, higher education, secondary education) and in different scopes (european projects, client contracts). In the process of our country's accession to the E.U., according to Governor's Office directive dated 03.03.2005 and numbered 217; the establishment of European Union and Foreign Affairs Department, to run on the basis of cooperation, communication and coordination was approved and it was put into effect throughout Istanbul. The governance concept to be implemented through the accession process is seen as a social transformation project. It requires for the involvement of local authorities, NGOs, public organizations and institutions. It will seek the cooperation of the private sector and individual citizens. By this manner and method Istanbul will have taken the required initiative in creating a viable structure understood by all. South-West University "Neofit Rilski" in Blagoevgrad is a state-owned higher education institution. It has 9 faculties providing modern education in 71 Bachelor Degree Programs, 97 Master Degree Programs and 71 Doctoral Degree Programs in the following areas: Education; Humanities; Social sciences, Economics and Law; Natural sciences, Mathematics and Informatics; Technics and Engineering; Public Health and Sports; Art; Security and Defence. More than 14 000 students pursue their studies at the South-West University (more than 800 of them are foreign students). The university has been granted the highest 9.26 grade out of the possible 10 by the National Evaluation and Accreditation Agency. The South-West University actively participates and implements projects within educational and research national and international programs -Erasmus+, EEA Grants, Fulbright, COST, Horizon 2020, European Territorial Cooperation Programs, EU Structural Funds, etc. The University of Rijeka is the fundamental educational and research institution in the western part of Croatia. Founded in 1973 following a long-standing tradition of higher education institutions and activities, UNIRI has 16 constituents with over 161 study programmes, 17 077 students, over 1600 employees and almost 1000 researchers. UNIRI focuses on excellence, quality assurance, life-long learning, active collaboration with the local community and economy and active inclusion into the EHEA & ERA. UNIRI also has extensive experience in managing EU projects. Department of Informatics is one of the newest member institutions at the University of Rijeka. The Department offers Bachelor, Master and postgraduate doctoral study programs in informatics, including Master Study Programme of Informatics for future teachers of informatics in primary and secondary schools. Professional and research interests of Department’s members include technology enhanced learning (e-learning), adaptive hypermedia, multimedia systems, recommender systems, blended learning approaches, Web 2.0 tools for teaching and learning, and different pedagogical approaches (e.g. inquiry-based learning, problem-based learning, and game-based learning).